I've been a great fan of agent 47 since I played the first game - Hitman:Codename 47. I actually lived with him in the 3rd game - Hitman:Contracts. I missed the middle version anyway, which is called Hitman:Silent Assassin. And I am looking hopefully towards the day when I can play Hitman:Blood Money or even Hitman 5! The silence of killing, the stealthy way, is a lot more enjoyable than the blasting guns and open battlegrounds. 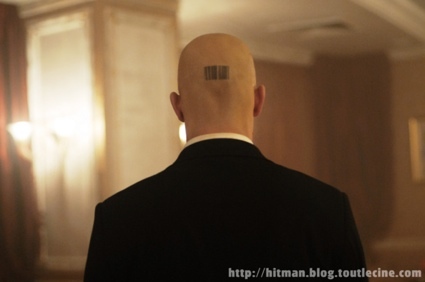 Certain factors why I like Hitman includes his perfect built-for-kill way,his baldy head and bar code on it, well..his red tie, and his silenced silverballers, and straight forward attitude. Hitman movie, well talking about this, considering my love for Hitman games, I was just dying for the movie. I don't know exactly how many Hitman movies have been released. I believe it counts just one. I got the movie today and before even getting into the movie, just take a second. Man, this movie is made out of hardly four versions of a computer game! I may not be sure how many movies have been made of games alone, without any video clip of Marvel comic pages being flipped. But this truly is a rare honor for the game.. like " Based on the EIDOS game Hitman". Now to the movie. Timothy Olephant was almost appreciable but the twist in the story is not at all, i mean, for true Hitman fans. Our hero is a genetically made killer guy and never had to fall for a girl and her dragon tattoo. We can justify everything else in the movie. Just the game. Food poisoning, fiber wiring, sniping and Oh! the karate was also fun and new. The movie is for persons who've played the game once or, we the Hitman fans don't want you to tell "What the hell he's doing!". And dear actor.. DON'T smile please, because 47 is not supposed to.. Here's a little math trouble originally put forward by my sister and brought from her tuition class. 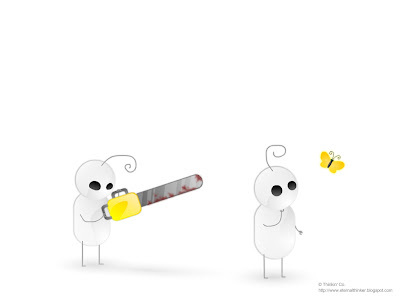 The objective of this little game is simple. First you take integers starting from 1. Take three of the same number. Now use any functions between them, so as to make out an answer of 6! Hey there are rules..! You CAN'T USE any other number in multiplication or division or addition and subtraction as well. And be sure you DON'T USE square root or cube root or any 'n'th root. Feel free to use any other functions! Answers in next post.. and as I myself workout!